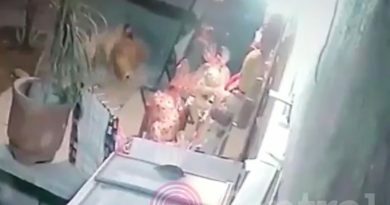 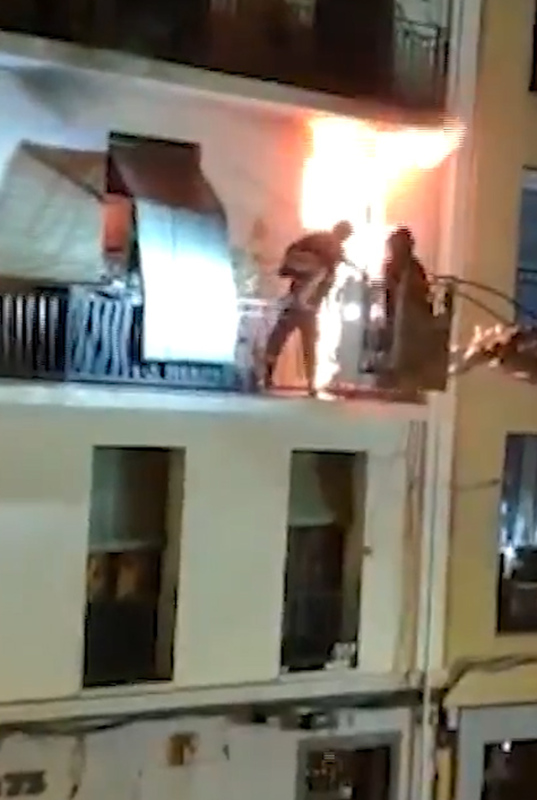 This is the dramatic moment firefighters rescue a woman and her two pet dogs from the balcony of their blazing flat as an explosion goes off just next to them. 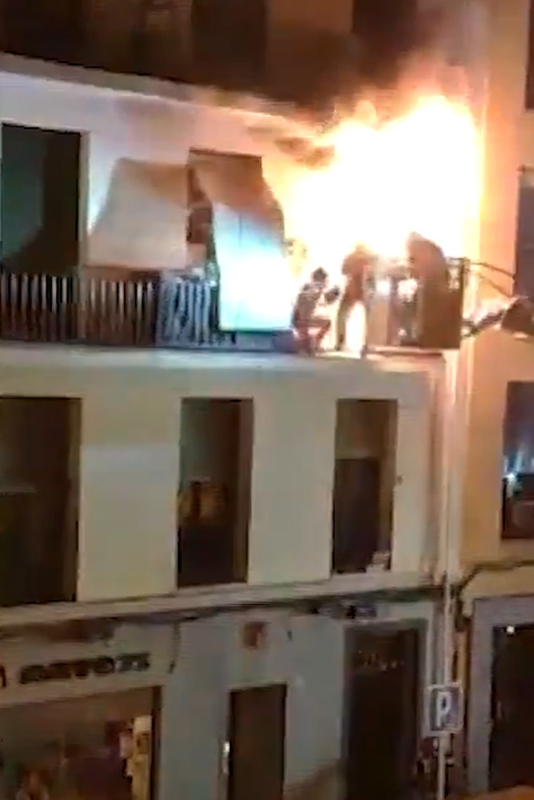 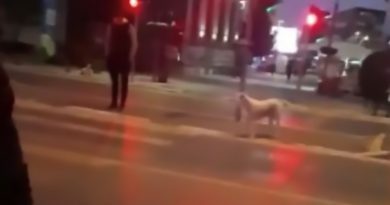 The spectacular rescue was caught on camera by an eyewitness with a smartphone in the Spanish capital city of Madrid. 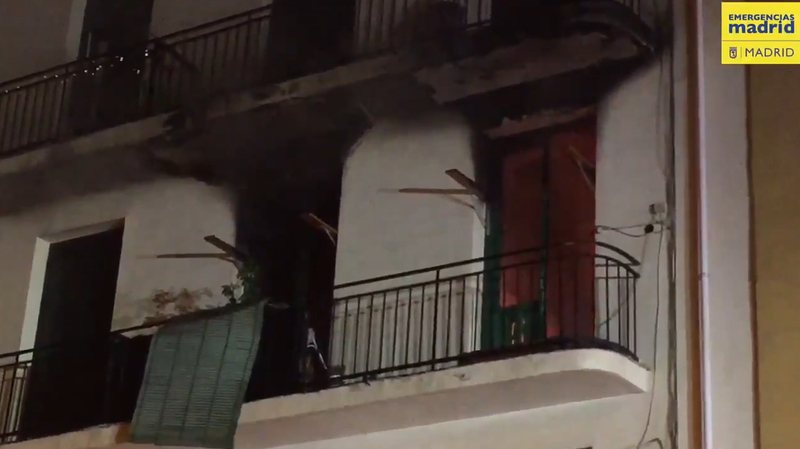 Firefighters had raised a cherry-picker-style platform to the balcony of the second floor flat when the explosion is seen inside the building. 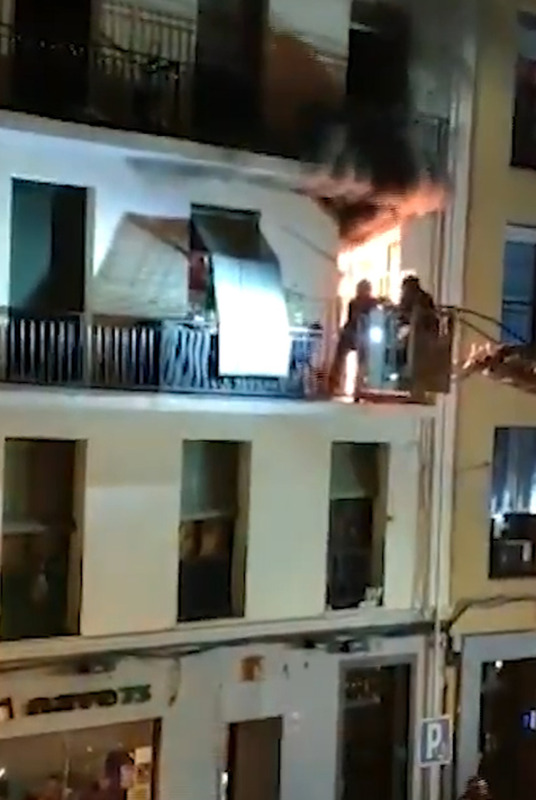 One fireman, who had just passed one of the dogs to a colleague on the ladder, has to jump for cover as flames shoot from the window. 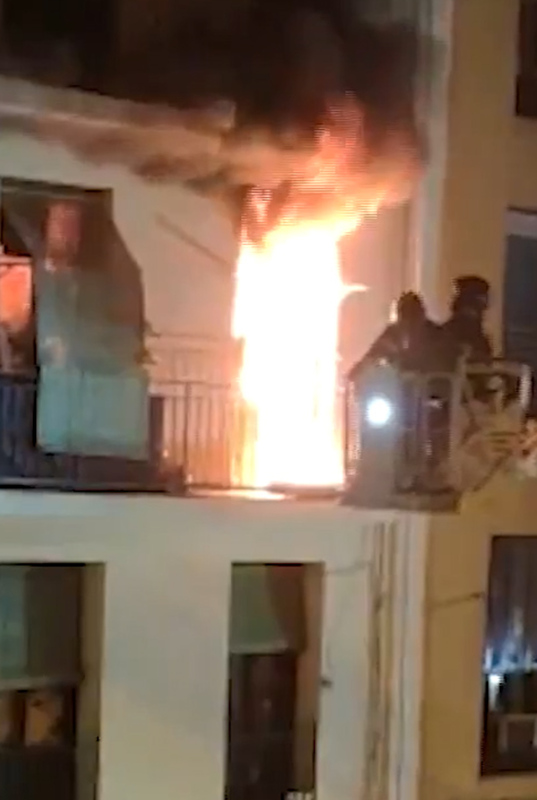 The firefighter then lifts the second dog to safety before climbing over the balcony railings and getting into the bucket himself. 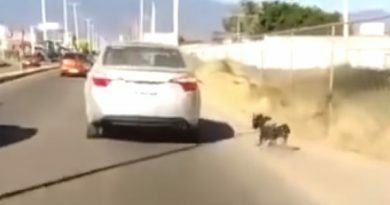 The 44-year-old woman, whose name has not been released, and her dogs were then lowered to the ground, along with their rescuers. 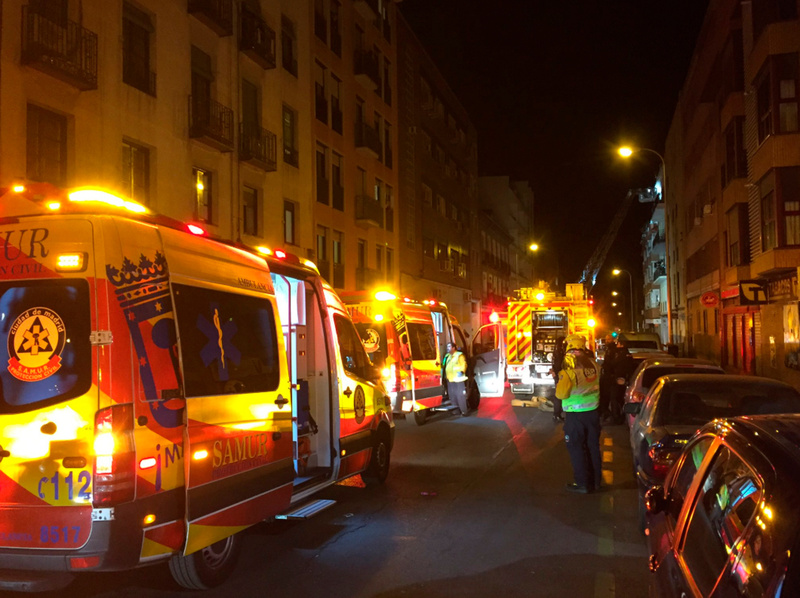 Four people required hospital treatment following the fire and another seven were treated at the scene for smoke inhalation. 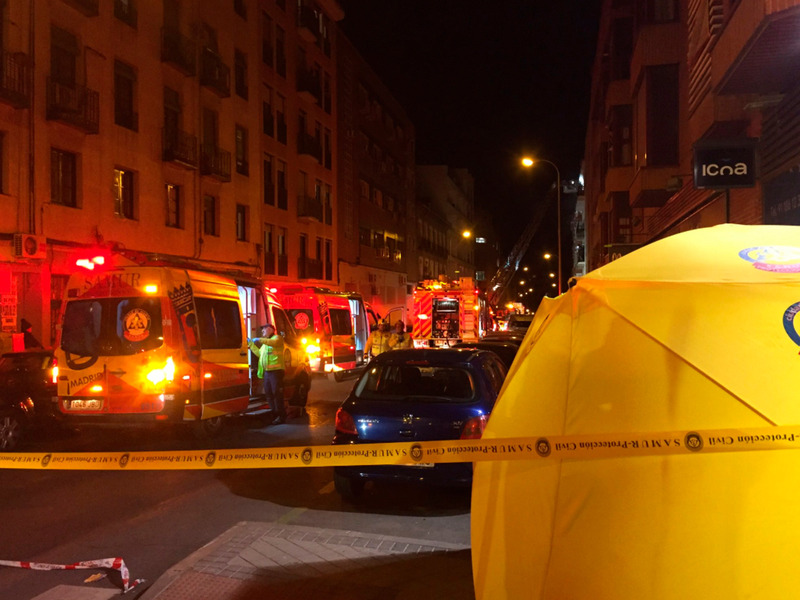 Those taken to the Jimenez Diaz University Foundation Hospital included a mother and her two-year-old daughter, and a 64-year-old man who lived on an upper floor. 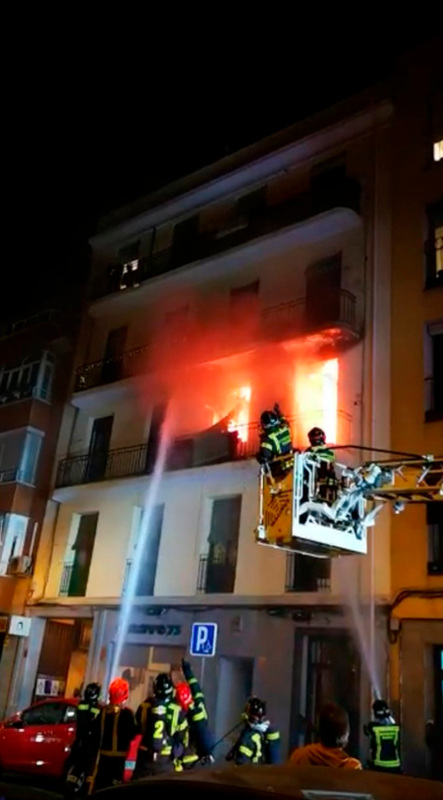 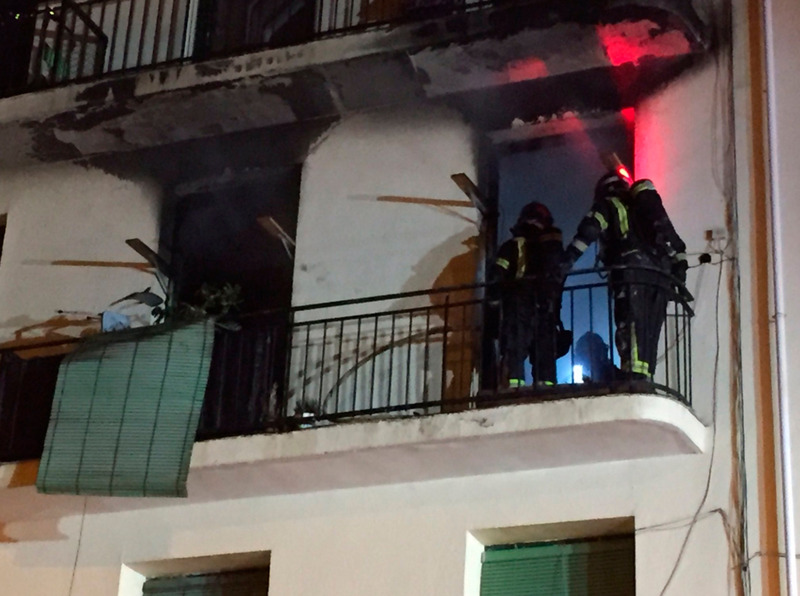 A total of nine fire engines attended the blaze in the Arganzuela district of Madrid, while police cordoned off the area and evacuated residents from neighbouring flats. 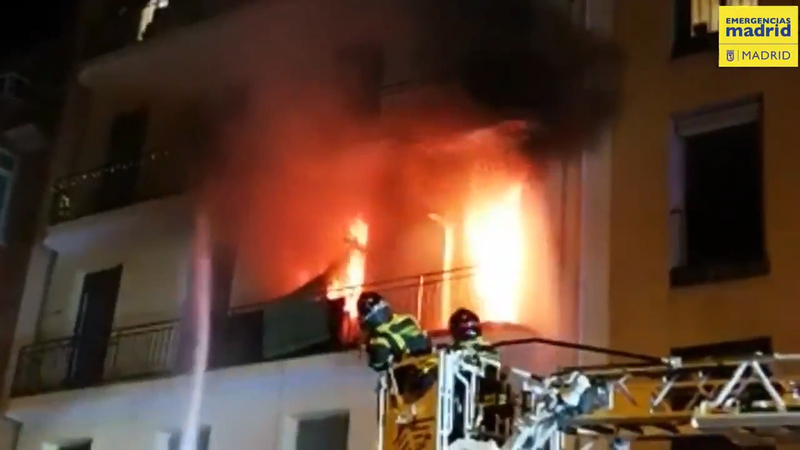 The firefighters managed to extinguish the flames before the fire spread to other floors in the building. 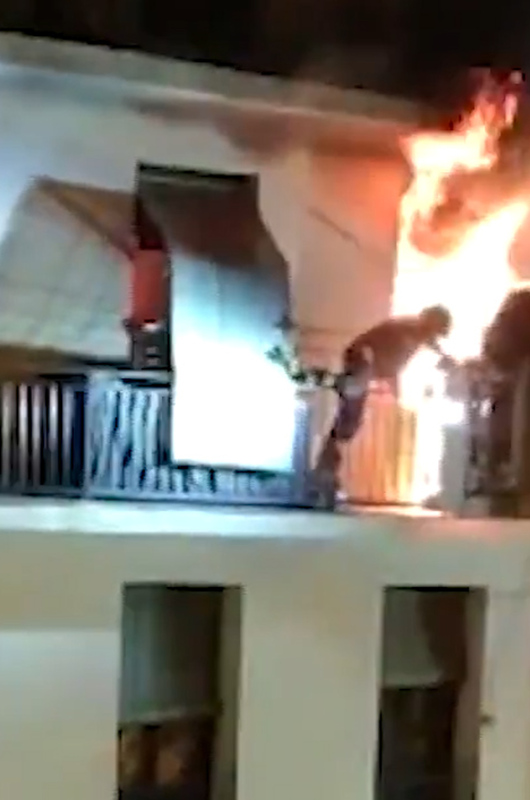 The video of the incident was later shared on the fire brigade’s Twitter page. 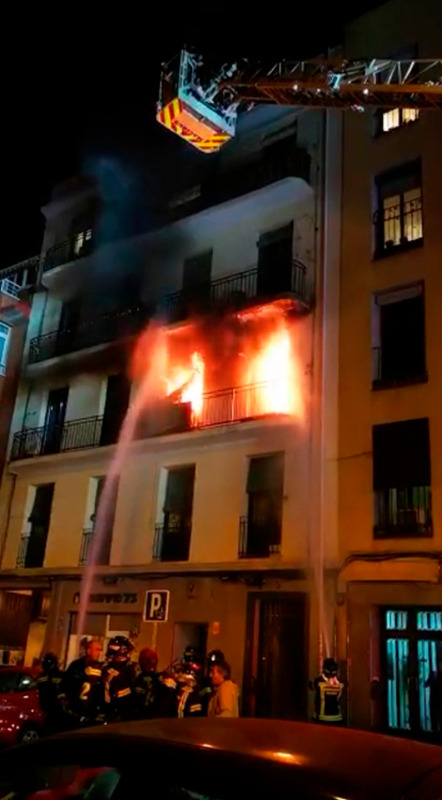 The Spanish National Police has launched an investigation to determine the cause of the fire.